Have some scrap gold laying around? Have you recently scored some gold dust or small nuggets on a recent creek panning adventure? If so you might be happy to know that you can actually melt it at home. 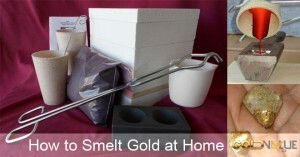 This article will show you how to smelt / melt gold at home using nothing more than an old 1200 watt microwave. Sounds strange right? Not really people are doing it every day. If you are safe and follow directions you can do it too. It beats the old method of melting gold with a propane torch. Gold has long been valued for currency, as well as being desired for beautiful jewelry. For centuries, gold has been one of the most prized metals found in the earth. The more pure the gold, the more valuable it is. The process of smelting is how gold is separated from impurities, with the end result being solid gold. 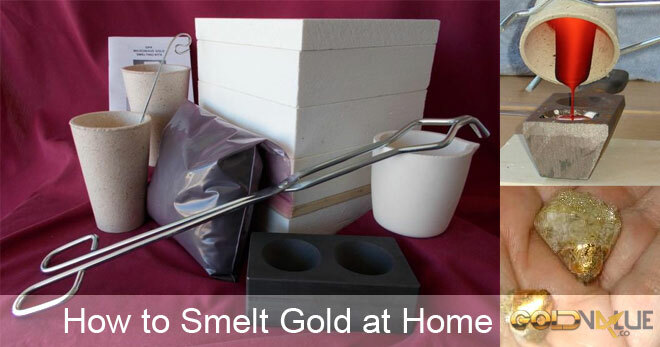 It is possible to melt your own gold, with the proper equipment. If doing small amounts, like melting down broken jewelry, it is possible to even use a 1200 watt microwave to do the job. It is best for the microwave to not have the magnetron on the top of the unit, but rather either the side or back. It is also important to make sure that once you start using a microwave for working with the gold, it should no longer be used for food preparation. By using a specially designed ceramic kiln, and following the safety guidelines, you will be melting down your own gold nuggets in no time. Before beginning, make sure to wear eye protection, a dust mask, gloves, and long sleeves. Tongs are another important piece of equipment, to allow the safe handling of the crucible. It is also a good idea to work in a well ventilated area. The kiln has a few parts, all of which are crucial to the process. When not in use, the equipment needs to be stored in a dry location, as any moisture could cause it to be damaged in the microwave. There is, of course, the kiln itself, which is placed on a kiln shelf in the microwave. The crucible is what holds the gold while it is being heated, which is placed in the kiln, with the lid put on the top, and then placed in the microwave. 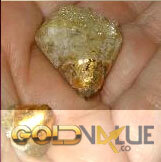 Before starting, the gold, whether it is gold dust, nuggets, or broken jewelry, has to be mixed with a medium called flux. Only use flux approved for microwave use when working with this method. 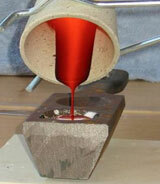 During the heating process, the gold and flux becomes extremely hot, so handle it carefully. Once it is fully melted, the liquid should be poured into a cast iron mold, and allowed to cool completely. The flux can then be removed from the refined gold. There are also specially designed electric kilns that are usable on a counter top or table that do not take up a lot of room. The same procedure is used for both unit types, you just have to use the appropriate crucibles and flux for the source of heat. So no matter what method you use please be sure to be safe, and have some fun with it. Happy smelting / melting to all…and to all a good night.